The VVYPA was formed in early 2013 by a group of young professionals in Vail who wanted to network with other young professionals in the local community. Originally from Marion, Massachusetts Mickaile moved to the Vail Valley in 2006 after earning his Bachelor of Science in Business Management & Finance from Springfield College. Mickaile is married with two sons and enjoys spending time with his family experiencing all that the valley has to offer. Mickaile participates in several WECMRD sports programs, including; Softball & Basketball. As a VVYPA Board Member, Mickaile hopes to use his financial and business skills along with his local relationships to aid in achieving the VVYPA mission of improving our local community through supporting and engaging the valley’s young professionals. Maria was born in St. Paul, MN, graduating from Bethel University with a Bachelor’s Degree in Journalism. Growing up with missionary parents, she spent her childhood in Hawaii before the family returned to Minnesota when she was 10 years old. After college she moved to Colorado to work at a dude ranch, taking a break from journalism. Deciding that she wanted to stay in CO, she moved to the Vail Valley in 2011 to live near her now-husband, Reid, while also switching career paths – accepting a job as the Director of Accounting and Government Compliance at Crazy Mountain Brewery. Four years later, she decided to pursue her passion of community development and is now the Office Manager and Accountant at Habitat for Humanity Vail Valley. Maria spends her free time hiking with her dog, working out at GOAT, skiing, fishing, camping, hunting, and anything else that involves the outdoors. Jill is originally from Palo Alto, California. With an itch to explore a new coast, Jill moved to Winter Park, Florida where she received her B.A. in Economics and International Business from Rollins College. After graduating in 2013, she started working for a digital marketing company, eMedical Media. 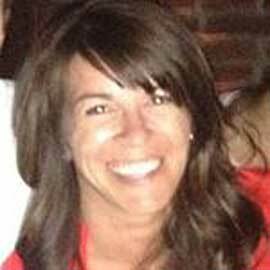 After a short stint of working between Dallas, Texas and the Vail Valley, Jill made the right decision to move to Vail full-time in 2015. 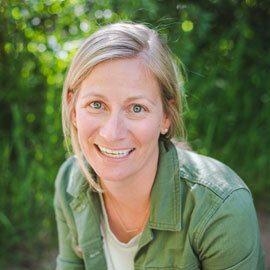 In her free time, Jill enjoys summiting Colorado’s 14ers, working out at CFV, and playing volleyball and table tennis. 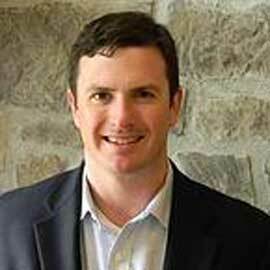 Dan is a business and real estate attorney at Alpenglow Law, LLC in Avon. Originally from Wisconsin, he earned his B.A. in Political Science from Washington University in St. Louis and J.D. from the University of Oregon. 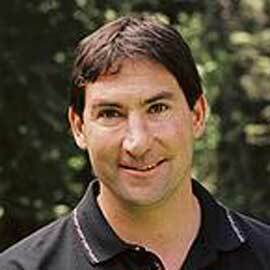 Since moving to Vail in 2000, Dan has worked for the Vail Ski Patrol, Timberline Tours, and Garfield & Hecht, PC. He currently serves on the boards of the Eagle River Watershed Council and CAI-RMC Mountain Education Committee. Dan is the founder of the Vail Valley Young Professionals Association and hopes to provide Vail’s young professionals with quality opportunities to meet new people, develop professional skills, learn about the Valley’s history, and give back to the community. Born in Kansas, Travis thanks his mom every day for her decision to move to Vail, in 1988. While his first Halloween costume – a skier – was described as unimaginative on the East Vail Trick-Or-Treat circuit, Travis’ excitement to dive headfirst into the local culture is as true today as it was then. 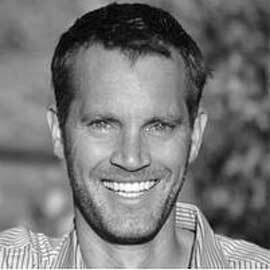 After graduating in 2003 from the University of Colorado at Boulder, Travis spent time in Jackson, WY, Vail, CO – as a ski patroller – and Aspen, CO before getting his MBA. Following a brief stint in Chicago, Travis moved back to Vail in the fall of 2012. Travis is a slow mountain biker, a mediocre fly fisherman and can always find time to ski a freshly groomed Simba from top to bottom before eating chicken fingers at Vendettas. 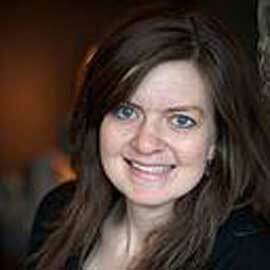 Sara is the President of Vail Tax & Accounting where she specializes in assisting local small business start ups. She is a 2002 graduate of Colorado State University, earning her degree in Business Administration, specializing in Entrepreneurship. 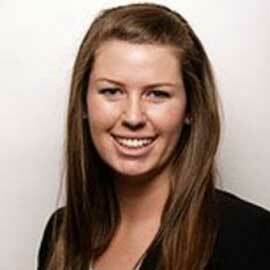 In addition to 15-years accounting experience, Sara has prior experience in lending & financial analysis. Sara enjoys spending her time volunteering throughout the community, skiing, and racing her mountain bike in the summertime. 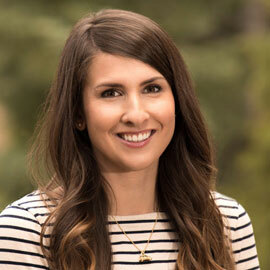 Aryn Schlichting is the Senior HR Professional at the Town of Vail and finds excitement in attracting others to the amazing mountain lifestyle and hopes to help others find their dream jobs in the best ski towns. Outside of work, Schlichting is the founder of Mountain Careers, a hub for professional career opportunities in the mountains. 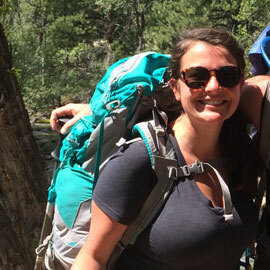 Originally from Chicago, Aryn was drawn to the mountains for college where she received her Bachelors degree in International Affairs from the University of Colorado, Boulder. Currently she enjoys getting involved in the local entrepreneur community. Aryn lives in Eagle-Vail with her husband and two energetic children Liam(6) and Grier (4) and loves exploring the outdoors and teaching them how to ski. Lyndsey was born and raised in the beautiful backwoods of Maine, where she was steeped in the New England traditions of hard work, family values, and above all, love and respect for nature. A graduate of Boston College, she was called home to the mountains in 2014 where she began a career in brand strategy with a boutique, Breckenridge-based craft brewery. Lyndsey is a social entrepreneur, consultant, activist, and adventurer combining nearly a decade of experience in public relations, community engagement, and brand management. Inspired by innovation and the desire to blaze new trails, Lyndsey currently serves as Interim Regional Director of the Northwest Small Business Development Center. In this role, she enjoys working with Northwest Colorado’s small business communities to create vibrant entrepreneurial ecosystems in Eagle County and beyond. 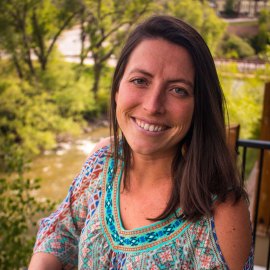 Now a full-time resident of Eagle County, Lyndsey loves all the Vail Valley has to offer, including live music, hiking, skiing, and spending time with family and great friends. She serves on the board of the Vail Valley Young Professionals Association, is the most recent President of the Breckenridge Mountain Rotary Club, and enjoys volunteering for a variety of local organizations focused on environmental stewardship. Lyndsey works each day to improve the lives of people around her and is kind, smart, motivated, and an integral part of each endeavor she undertakes. Rae originally moved to Vail after graduating from East Tennessee State University in 2002. After living in the Vail Valley, Rae moved to Nashville for several years before returning to Vail in July 2011 to rejoin The Steadman Clinic. 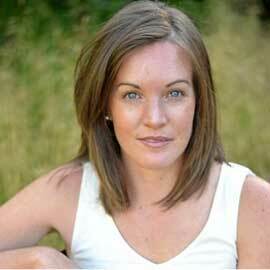 She currently works as the practice coordinator and surgery scheduler for Dr Tom Hackett. Outside of work, Rae enjoys time with family and friends, travel, yoga, snowboarding and cheering Peyton on. 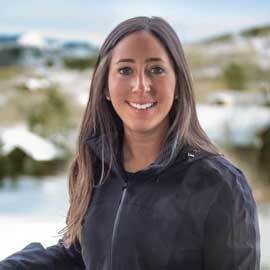 Lexi Mossman, a licensed and Certified Athletic Trainer (ATC), founded MountainFit in 2016 with the goal of allowing locals and vacationers in the Vail Valley to maximize their time on the mountain through mobile sports medicine. She earned her BS in Kinesiology from the University of Michigan while working as an assistant athletic trainer for their football and hockey teams. Born and raised in Nashville, Ms. Mossman spent several summers of working as a healthcare provider in the Vail Valley, and she saw an opportunity to provide personal, on demand athletic training services to Vail’s active population. Lexi is certified in Kinesio Tape and was a 2016 and 2017 Finalist for Vail Young Professional of the Year and 2017 Finalist for Small Business of the Year. Originally from Ohio, Christin earned her Masters Degree in Social and Cultural History from the University of Edinburgh in Scotland. She leads the marketing initiatives for Vail Jazz, including graphic and web design, brand management, strategy and cross-channel implementation. She is passionate about promoting the cause of cultural non-profits, and is dedicated to Vail Jazz’s mission of supporting educational and artistic enrichment at all stages of life. 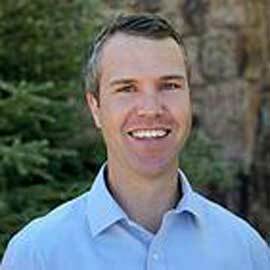 As a Partner at Alpine Mountain Builders, Patrick brings extensive business experience and unwavering enthusiasm to Alpine Mountain Builders, focusing his attention on relationship management, community connection, and business development. After graduating from the University of Richmond, Patrick taught fifth-grade in Harlingen, Texas through Teach for America. Prior to joining Alpine in 2017, Patrick worked at Newmark Knight Frank where he was involved in over $1 billion multifamily investment sales with a specific focus on Debt and Equity Structuring. He has also held positions at Colorado Business Bank as an Assistant Vice President and at Craft Development as Development Associate. Mark Scheel is a professional Android software developer by trade. He spent five years at a health 2.0 startup who’s flagship app was downloaded 7 million times from the Google Play Store. 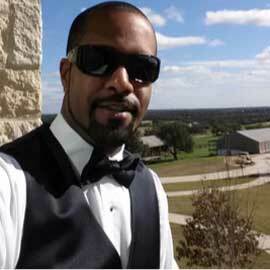 He also worked in real estate technology and online commerce in a 20+ year software development career. He now runs a boutique software company, Digital Construction. As an Android expert he gave a keynote in Paris, a seminar in Hong Kong, and wrote a software book. He has spoken on technical topics in Boston, Dallas, San Francisco, Las Vegas, Denver, Boulder, Toronto and many other cities. Mark loves his split board, and you can find him many early winter mornings ascending the slopes before the Vail lifts start. Mindy grew up in southern Colorado. She received her Bachelor of Science degree in interior design from Colorado State University. She was a designer for Slifer Designs in Edwards, Colorado and Home Reflections in South Fork, Colorado. After working in the interior design industry, she decided to pursue her dream of creating and designing events. She moved back to the Vail Valley in 2007 and joined the Mountains and Meadows Weddings and Events team, where she is currently a wedding consultant and also works as a facility coordinator at Donovan Pavilion. Mindy has extensive training through the Association of Certified Professional Wedding Consultants. She is one of only three wedding consultants in the state of Colorado with her “Professional” title from ACPWC. 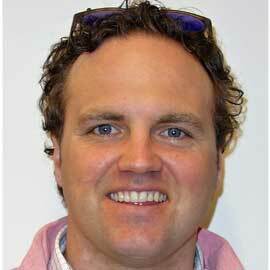 Eric moved to Vail after graduating from James Madison University in Virginia. As a Key Account Manager with the Vail Daily, Eric focuses on the real estate and healthcare industries working with the top local and regional accounts for Vail Daily and Swift Communications. Previously, he was the Director of Marketing for Slifer Smith & Frampton Real Estate. Originally from Cape Cod, MA, Eric lives in Edwards with his wife Allison and 2 kids. When he is not spending time with his family he is out mountain biking, whitewater kayaking, skiing, hiking or playing softball and soccer. John is currently the Executive Director of the local Habitat for Humanity affiliate. Prior to Habitat, John served in a number of senior management roles for the Steadman Hawkins Clinic in Vail, Denver, and the non-profit Research Foundation. 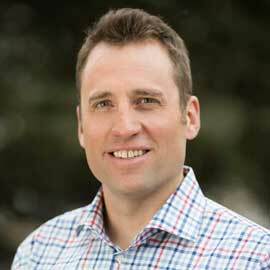 Before moving to the Vail Valley, John grew up and attended high school in Denver. He as always been active in sports and was recruited to play basketball at Princeton University. After graduation, John moved back to the mountains and began working and pursuing a graduate degree in business. In less than 2 years, he earned an MBA from Denver University. He as a strong commitment to the Eagle County community and enjoys an outdoor lifestyle of travel, skiing, mountain biking and fly-fishing. 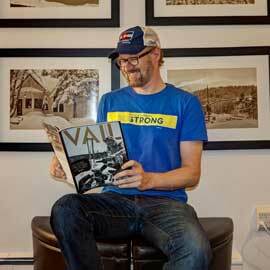 A resident of the Vail Valley for 10+ years, Matt ventured to the Rockies from New England for a love of the outdoor mountain lifestyle. Matt recently completed his term as the Chairman (President) of the Vail Board of Realtors after serving on the Board of Directors for 4 years, and is currently the Mountain District Liaison and a Director for the Colorado Association of Realtors Young Professionals Network, co-chair of the Realtor Political Action Committee for the Colorado Association of Realtors, and actively engaged in many committees for the Vail Board of Realtors. Additionally, Matt was recognized at 2011 Realtor of the Year in Eagle County for his overall dedication to the profession. Matt lives in Eagle-Vail with his wife, Lynn, and their 2 dogs Sadie and Charlie.